The true extent of the use of psychoactive plants in Africa, and the context of this use, is not yet fully appreciated or understood. With the rapid pace of acculturation, much of the original knowledge of the use of psychotropic plants has become fragmentary, with extant magical or charm uses sometimes the only remaining clue. Many African psychoactive plants undoubtedly await rediscovery, and scientific studies of these plants are likely to reveal new psychoactive molecules, novel mechanisms of action, and the potential to develop effective new drugs for the treatment of pain, migraine, epilepsy, depression, schizophrenia and other mental health conditions. Ikhathazo (Zulu), lesoko (Sotho), and iqwili (Xhosa). The plant is a robust perennial with dark green rosettes of oblong, markedly toothed leaves arising from a single or branched rhizome. The flowering stalk is hollow and up to two meters in height, with numerous small flowers arranged in dense, rounded heads. The shape of the basal leaves and the serrations and hairs along the leaf margins are important to distinguish the different species of Alepidea. There are two distinct forms of A. amatymbica; the typical form has leaves which gradually taper towards their bases; a northern form with distinctly heart-shaped leaves. Rhizomes and roots are used. and healers to assist in divination and communication with the ancestors. Smoking the roots results in sedation and vivid dreams. Elderly people powder the dry rhizome and take it as a snuff, or smoke the roots for headache. The rhizome is carried as a lucky charm, and is used for colds, asthma, and flu. The roots are also used as a smoking admixture, and the smoke disguises the smell of whatever it is that is being smoked in conjunction with this admixture. Used for colds and chest complaints, as well as for asthma, influenza and abdominal cramps. An infusion is made, together with Cannabis sativa, for treating asthma. The rhizomes and roots contain high concentrations of several diterpenoids of the kaurene type. The major compounds are dehydrokaurenoic acids and kaurenoic acids, of which ent-16-kauren-19-oic acid is usually present in the greatest quantity. 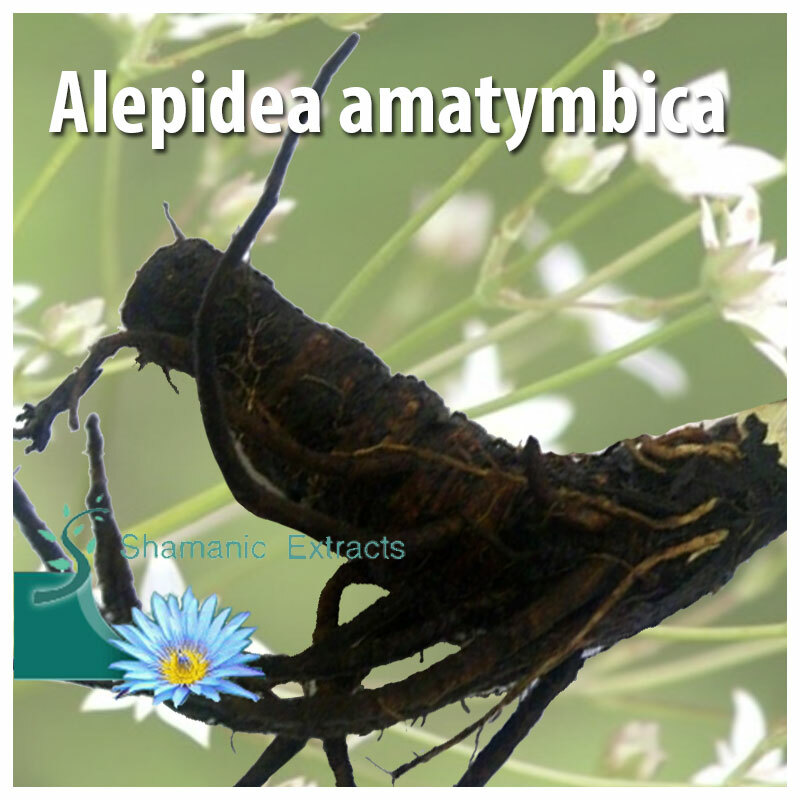 Share your experience about Alepidea amatymbica with other customers. Submit your tips or thought on this product, be detailed and specific.